Last week I finally met up with my buddy Rachael. This does not happen very often as she is a bartender and such she keeps vampire hours. Nonetheless when we do get together she always has interesting stories to tell. This time was no exception. What’s more, she found something she thought I would find of interest. I did. Something bearing a resemblance to Bigfoot (or would that be Sasquatch or a Yeti? NOTE: you can view this in larger format by clicking on the above image) getting ready to take a ride on the L train. I’m not terribly certain what this is supposed to mean but I do take issue with the choice of subway lines: we all know Bigfoot rides the G. P.S. 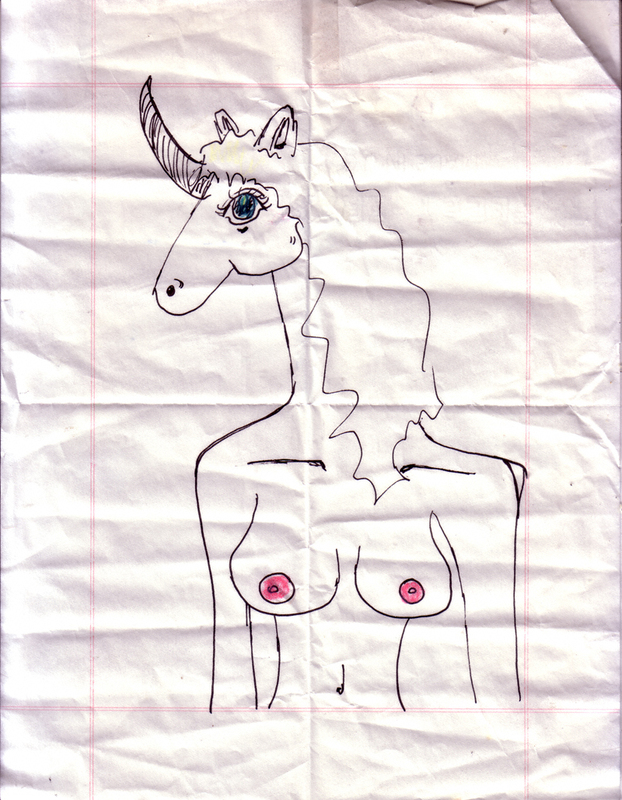 : Ever wondered what a unicorn would look like with a pair of woman’s breasts? Look no further. Rachael’s got you covered. Why? 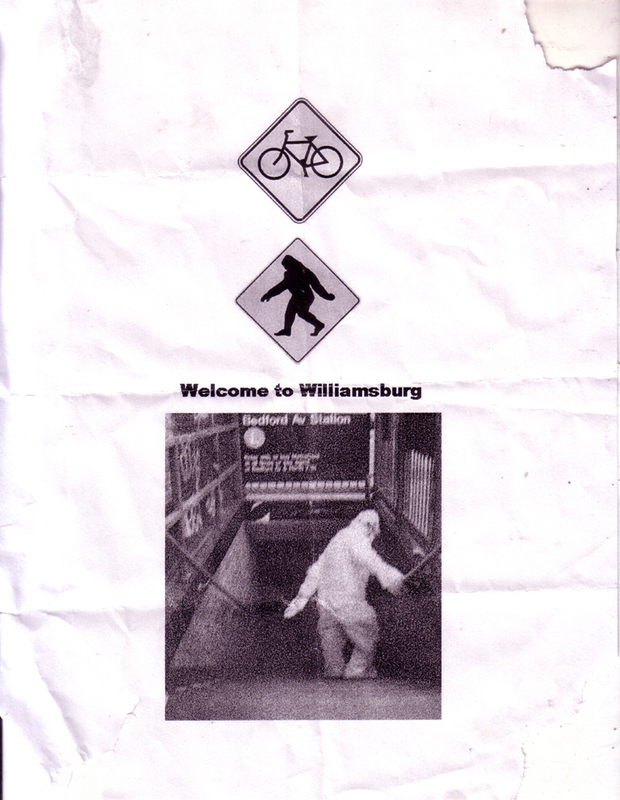 Q: What do Bigfoot and the G train have in common? A: You never know when you’ll see one. That’s just me on a bad hair day.